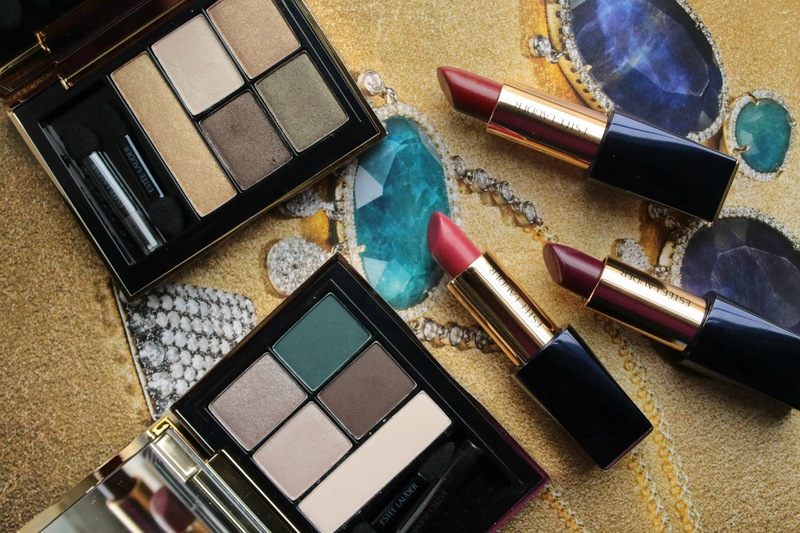 It's been quite a few years since I've had Estee Lauder heavy in rotation in my makeup bag, but I am more and more impressed with each and every new launch. Their Sumptuous Extreme Mascara is one of my holy grails, and I just raved about this brow pencil in my latest October beauty favorites so Estee Lauder is slowly strong arming other brands out of the way in my makeup routine. I recently had the chance to test out a few products from their new Pure Color Envy Sculpting line and can simply not say enough great things about it. Well I haven't yet started reviewing it, but I will be saying great things about it in the next few paragraphs. I get ahead of myself. Heehee. 1. 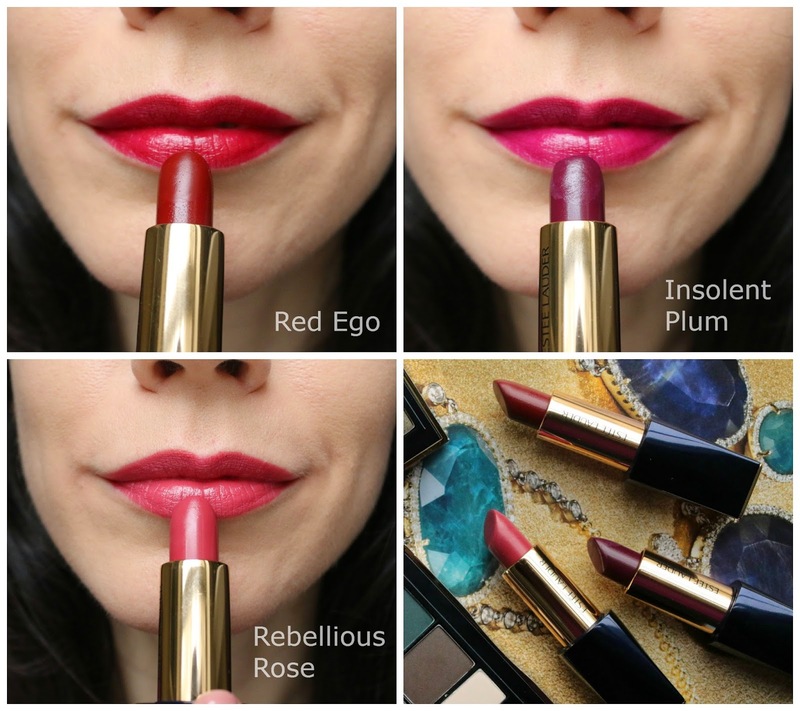 Pure Color Envy Sculpting Lipsticks in Red Ego, Insolent Plum and Rebellious Rose - A moment of silence for that color pay-off in the above swatches. Shhhhh. Ok - now let's talk. THOSE COLORS. THAT TEXTURE. The pictures do a good job of capturing the beauty of these lipsticks, but you can't truly appreciate them until they are on your lips. Let me first start by saying they glide on like silk - I have not tried a lipstick this creamy in a long time. Typically with full coverage lipsticks, I need to clean up the edges after applying because they don't stay within my lip lines. However, that was not the case with these - in fact, I applied Insolent Plum without a mirror for these swatches just to see if I could get an even application. And I did!! This formula is absolutely magnificent and I kick myself that I didn't discover them sooner. They are incredibly long wearing and leave my lips feeling comfortable for most of the day. It's too soon to say holy grail, but these for sure earned a spot on my top lipsticks of all time. They should be very proud of themselves. 2. Pure Color Envy Sculpting Eye Shadow Palette in Fierce Safari (top swatch) and Untamed Teal (bottom swatch) - When I was browsing these eye palettes online a few months ago, I was intrigued but not moved enough to buy. And then I saw them in store and could not believe my eyes. It was as if there was nothing else on the counter, that was how strongly they stood out to me. From the packaging to the color combinations, they are stunning in person. 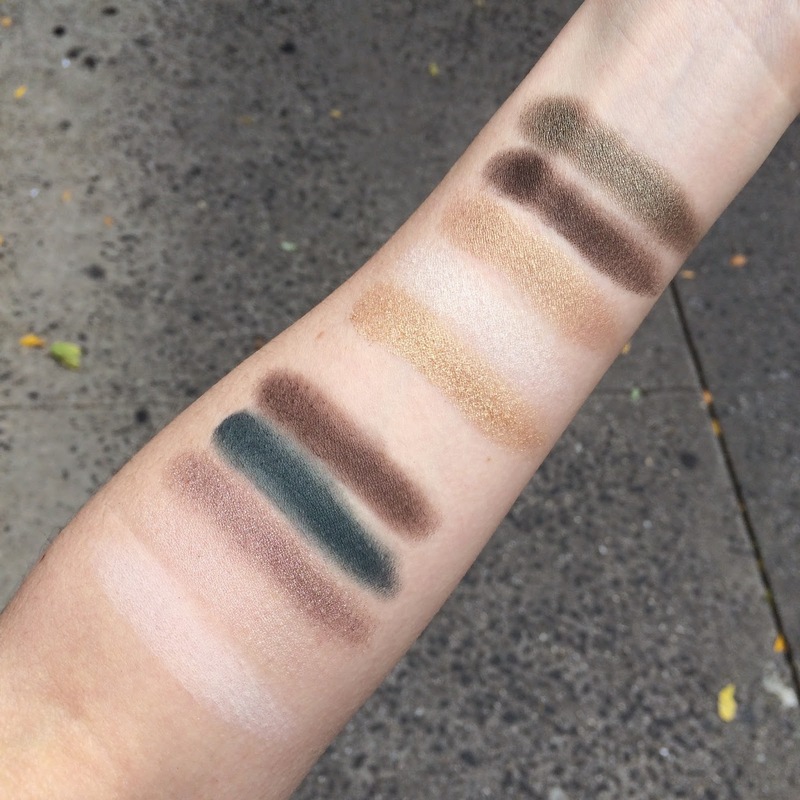 I find that the matte shades in the palettes are extremely pigmented (just wiping these swatches off was a chore) and the shimmer shades are a bit more sheer. However, I am not personally a fan of intense shimmer so I like the more sheer shimmer pay-off. I initially thought I would wear the heck out of Fierce Safari, but instead forced myself to wear Untamed Teal first. I was unsure how often I would dab my brush into the teal shade of the compact, but found that when I layer it over the deep brown as a liner, it looks absolutely gorgeous! It's a nice change from my boring dark plum or black/brown I usually do. I like to live life on the edge sometimes. Have you tried the Pure Color Envy line? What are your thoughts?